We all know the nature of content has been rapidly changing, and now faster than ever before. If any of us are feeling dizzy or overwhelmed, it’s a natural reaction to this new reality. We are facing an unprecedented omnichannel publishing explosion equipped with dated systems and processes. And we fill the gap with more and more manual effort. We are not alone: some of the biggest, smartest organizations on the planet are facing huge gaps between stated customer experience goals and the publishing infrastructure in place to meet them. The adaptive survivors have realized fundamental changes are necessary, and have gotten to work. It’s time to realize that nothing will change for the better unless we change it ourselves. The underlying omnichannel challenge derives from the baseline growth within the number of content assets supporting each of our products. All of these assets drive production of variants as we struggle to keep up with new surfaces for customer experience across channels and devices. Every surface, every consumption scenario change, drives new manual content transformation and spawns another variation. Personalizing and localizing the content creates further variants. Each variant becomes a content record with a separate content ID. Publishers just cannot stay on top of all these new content records manually. Each of these stretch content models, content types, and content operating models even further. In addition, we keep stretching existing content teams to keep up with localization, accessibility, and various regulations. New and upcoming channels like augmented reality, introduce content model shifts for time, space, motion, and variable user’s viewpoints. Each new content dimension impacts content schemas, semantic standards, our content operating model, and our content supply chain design. When content process happens by accident instead of by design, each new content dimension just adds to the mess and overwhelms. Looking beyond techcomm, the number one way content moves throughout the enterprise is still Microsoft Word via email. All content is tied to platforms, people, or silos. Due to departmental silos and lack of automated workflows for structured content, many creative humans in the enterprise have been turned into "copy and paste robots". Writers are often spending greater than 50% of their time on the mechanics of content, instead of the content itself. This encumbers authors, making them far less productive than their potential. Due to the amount of manual effort involved, the world is currently operating under “brute force” content management. We build the same content topic in multiple, different ways, and no single team is responsible for omnichannel programs throughout an enterprise. Everyone is still struggling with the move from a page-centric ecosystem to an intelligent modular content ecosystem, with omnichannel content molecules. As a result, we are facing massive technical debt in the form of misconfigured and out-of-date content systems, and massive content debt in the form of unstructured, duplicated, metadata-starved content sets. Hiding from these changes doesn’t make them go away, although many organizations make a policy of ignoring innovation until competitive pressures force change. Meanwhile, the debt grows and content sets atrophy. [A]’s Content Intelligence Framework was built to align many different content sets. We use it to connect people, process, and technology. Strategies need to be aligned into structural models and standard schemas. Whether using the [A]Ⓡ framework or another approach, it is in all cases important to have an approach to address the complexity within publishing. We need a point of view to help to organize all the efforts going into publishing. To achieve our goals of overcoming sluggish content, we aim to align structural standards using a Master Content Model™, managed separately from content and separately from systems of record. When we adopt standards into our structural standards, including DITA XML, schema.org, and industry-specific standards, we make it easier to address heterogenous content sets moving around within one enterprise ecosystem. All of these standards, when expressed in software and data systems, create flow throughout the publishing lifecycle, with the goals to shape content to deliver via content-as-a-service (CaaS) APIs to infinite end points. Now is the time to empower content. Our collective future hinges on the free movement of knowledge, connected to context. We need to evolve from single use, “disposable” content to “durable,” simultaneous use content, and from heavy-handed governance to responsive and collaborative orchestration. Let’s start by admitting we have a problem; and, recognizing that it is finally time to face the growing onslaught of content by taking systemic, strategically driven engineering mindset. We face a content tsunami and we must address it with eyes wide open. We cannot sit and watch it with dread anymore. We cannot just sit there while it grows and gains on us. And, we cannot afford to manually copy and paste our way out of it long-term. Past experience has taught us that the “throw more bodies and hours at it” solution ultimately exhausts itself and collapses. A standard schema-management approach, or Master Content Model, must be employed as the most stable foundation we can use to build a future-flexible content supply chain. Structural and semantics standards, when they exist, can then adapt to incorporate new content shapes like AR, voice, and segment-based personalization. In summary, if we are to prepare for a more flexible future, which includes AR and conversational user experiences within a personalized environment, we need to start dealing with the fundamental patterns and underpinnings of our content; and, we must not address these things as separate "new technology" projects. Every time that we take a “technology first” mindset and buy new tech without paying attention to content structure and semantics, we split the soul of content into new schemas, new taxonomies separated from existing content sets. We can each face the problem and start working towards solutions in our own way, at whatever level. Content intelligence can and does have origins at a departmental level. Individuals have huge influence when equipped with vision and data. Bridge-builders between content silos gain recognition and often move upwards in the organization. We can start by changing our mindset about who we are and what we do. We’re not just creating documentation, we're generating onboarding and training experiences from the knowledge set. Those experiences lead directly to customer retention and affect the bottom line. C-level stakeholders (and budget keepers) must be informed of content’s real value for customer experience, strategic nimbleness, and overall market value. Find others that care about content and form a content club. Describe the problems in writing, brainstorm ideas and solutions, learn from webinars, articles, and books. Start to quantify the problem. Track what it actually takes to produce content in all stages. Find ways to streamline content workflows, improving author experience. Identify content types and their relationships. Even if only via a shared spreadsheet, we need to agree on terminology (what we call things) and how we tag things. Make basic, centralized taxonomies. Share with one new group at a time. Finally, look for all opportunities to build bridges. Bridge builders are the new power brokers. So, let’s shed our fears. 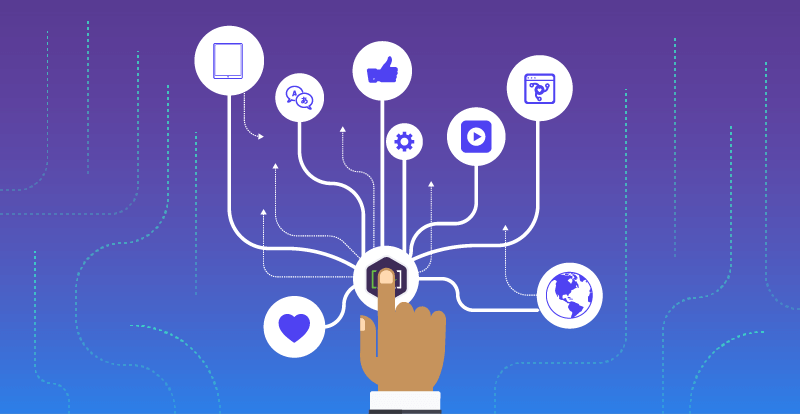 Embrace the opportunity of new platforms by pouring new content into structures that connect with the rest of our overall publishing lifecycle and strategic goals for customer experience. Start with the desired end in mind. Begin with a systems mindset. Start with a flexible content model built on top of solid content strategy. A version of this article will be published in the January 2019 issue of Intercom by the Society for Technical Communication. Watch [A] founder, Cruce Saunders, as he explores how to streamline and automate content supply chains by applying an intelligence framework to an organization’s current content ecosystem.